Arena, Pula is the most important monument of the city of Pula. Located in the heart of the city of Pula, which begins and ends each tour city. Pula Arena was built in the first century during the reign of Emperor Vespasian, was built parallel to the largest and most famous building of its kind - the Roman Colosseum. The arena is elliptical in shape, size is 130 meters in the main axis and 100 meters in a short axis. In the middle of the arena is a flat area where they fought gladiators and spectators sat on the stone steps and stood in glaeriji. Arena could accommodate about twenty thousand spectators. The arena was built of local stone, limestone. Arena is now used for summer performances, concerts, festivals and cinema screenings and can accommodate about five thousand spectators, but the former was used to knight tournaments and fairs. Below the arena is located in an underground chamber with which the previously served gladiators now in her exhibition "Olive and Grape Istria in ancient times", which is accompanied by an old Mazin oil production, and amphorae in which wine and oil stored on the premises during the transport. There is a legend in which he described the chase boat Argo and the Golden Fleece. According to the legend of King Kolhide subjects were dropped from further pursuit after their son was killed the king. The fear that as long as they return to Colchis, to be punished for the death of the prince, they decided to settle in the place of his death. Pula is therefore kolhiđanskim fugitives was the refuge and place of banishment. Thus the hard old life of famous geographer Strabo says that this is based Pula.According to this legend, Pula was founded in front of more than three thousand years. Pula in Illyrian times, until the arrival of Roman legions, was only Nezakcija nearby surroundings, the dominant political and military center. Because of the importance of the military position, and the intensive colonization and trade ties, Pula takes leading position in the region. 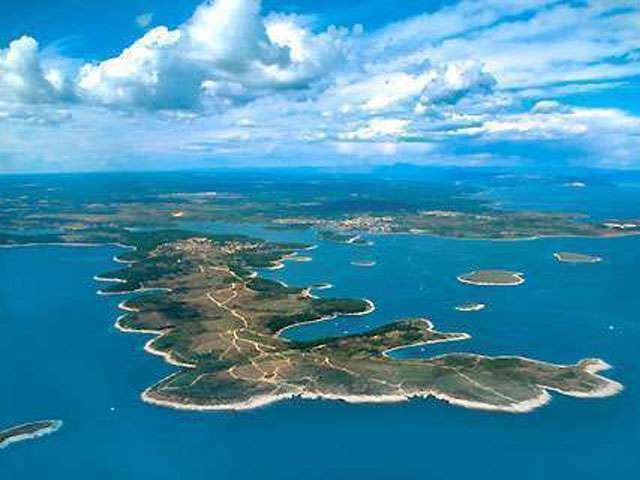 Parallel to this develop Stonecutting for numerous buildings in Pula, agriculture, olive growing, fishing and pottery.During the centuries of the Roman period have been built in Pula and formed the most valuable monuments of antiquity in Croatia. The most valuable and most famous monument is the time of the Roman Arena. This is the amphitheater, the struggle for human and animal, built in I century AD during the reign of Emperor Vespasian. Arena size is about 130 x 105 ma height 32 m, which puts him in sixth place among the world's largest amphitheatres. Arena could accept up to 23,000 spectators.The Austro Hungary, Pula turned into a large and important port. But today is a great tourist center of Pula, which can be proud of its rich past and its guests by offering the world's largest values.